Identification of a problem is a critical step but a first step none the less in the lengthy process of successfully implementing an effective solution as it pertains to building restoration programs. 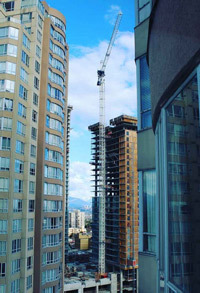 With Structural Technologies’ resources and immense knowledge base cultivated over a quarter century as an esteemed member of the restoration and construction communities alike, we are not only capable but confident in our capacity to exceed your expectations at each phase of this process. Through the objective analysis of your building, property or facility’s conditions, Structural Technologies is competent that we are able to find a solution to even the most perplexing construction related issues. However, here at Structural Technologies, we believe that the primary objective of delivering a solution should not be a limiting factor as to the successful implementation of a restoration program but rather its baseline. Structural Technologies’ aim for restoration and construction programs is not only in achieving the desired result but also in redefining the perception of restoration and construction experience through superior customer relationship management. Structural Technologies’ philosophy to building restoration is one in which the implementation of a restoration program is centered on producing not only a solution to a problem but to also enhancing the design, atheistic perception, or functionality to avoid a zero-sum gain paradox. Consequently, Structural Technologies team of dedicated personnel is not only vested in delivering corrective action but also equally invested in making your vision a reality. Through devoting resources to accurately defining the objective and vision of a project through interviewing our clients, we are able to conceptualize and tailor the scope of our solution to adhere to parameters and goals established for success. 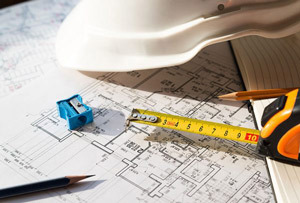 As an added service, our construction management team of qualified field technicians in coalescence with office administrative personnel, provide Project Administration Services including the review of submitted pay request, field verification of material and labor waivers of lien, verification of insurance and confirmation of all system, contractor and manufacturer warranties and guarantees. Through objectively analyzing the existing conditions of your building components, Structural Technologies is able to prioritize restoration programs to fit your financial constraints and project development Chicago, IL restoration initiatives. Ultimately, the implementation of a restoration or replacement program is directed through written specifications and construction drawings which provide the contractor with exact and specific parameters of performance. 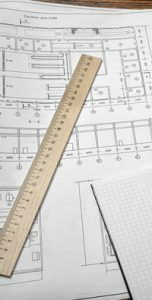 Due to the complexities of construction and the high cost of failure, it is often both advised and necessary to retain the services of a Design Professional. Structural Technologies provides the client with a resource of knowledge and experience. We are committed to ongoing training, material review and research of applicable building codes. We eliminate risk and provide you with the security that your project will perform to your expectations. Structural Technologies, Inc. produces specifications tailored to your buildings needs and budget, delivering value through innovative solutions meticulously outlined to provide a potent driving force behind your restoration project. Furthermore, Structural Technologies solicits bids from pre-qualified contractors who have displayed competence in the completion of past projects, ensuring that your restoration project is completed according to the specifications without delays and within budget. 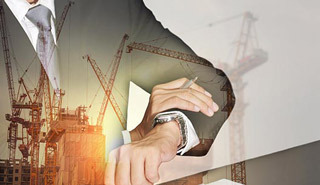 Project Administration Services provided by Structural Technologies include pay request review, verification of material and labor waivers of lien, verification of insurance and confirmation of all system, contractor and manufacturer warranties, and guarantees.